The Nicaragua/China proposal to build a canal across Nicaragua has raised serious questions and doubts from the start. The deal was consummated between Daniel Ortega, President of Nicaragua, and a Chinese without any vote of the people. The deal gave the Chinese company a swath of land across the country cutting through some of the most beautiful and environmentally sensitive areas. Environmentalists have been critical of the project from the start. With a price tag variously quoted as $50B to $75B nobody knows for sure how the numbers were derived and where the money will come from. Widespread opposition has developed among the Nicaraguan people. Some believe that the proposal for a canal was just a smoke screen for Chinese interests to secure rights to develop projects for mostly Chinese tourists including hotels, golf courses, and Pacific coast cruise ports for the rapidly growing Chinese cruise industry. Supposedly work began back in December 2014, although there isn’t much work to show. 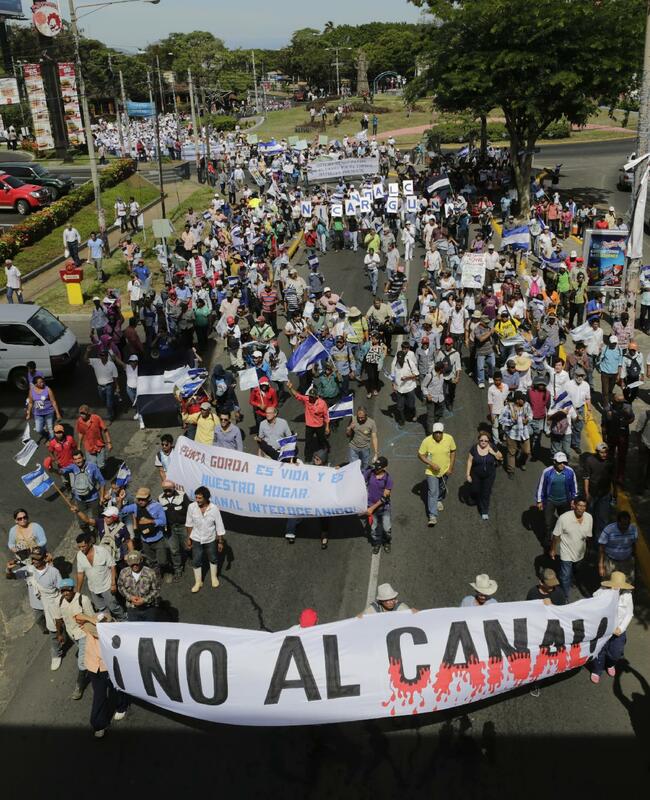 Both Nicaraguan officials and the Hong Kong-based company behind the canal have dodged questions about sources of money to build the canal., whose estimated cost is four times Nicaragua’s gross domestic product. The proposed canal will be 172 miles (278 km) long, over three times the length of the Panama Canal. Many believe the Chinese government is secretly bankrolling the plan, which both China and Wang have repeatedly denied. “If the canal goes ahead … it will be because the Chinese government wants it to, and the financing will come from China’s various state firms,” according to Arturo Cruz of the INCAE business school, an ex-Nicaraguan ambassador to the United States. Originally proposed without locks, challenges of the project being an unparalleled environmental disaster, caused a revised plan that includes locks on both oceans. The path of the proposed canal cuts right across Lake Nicaragua and involves digging a huge channel out of the lake wrecking havoc on one of the most beautiful areas in Latin America and uprooting and displacing local residents. Much of the drinking water supply comes from Lake Nicaragua and it is a food source for locals. According to one environmental consultancy, the project is “fraught with risks and uncertainties,” and could cause more harm than good unless the government and its Chinese builder fund a host of mitigation measures. “The social and environmental impact study by the consultancy, Environmental Resources Management Ltd, echoed many of the same concerns. It urged Nicaragua’s government to verify project builder and operator, Hong Kong-based HK Nicaragua Canal Development Investment Co Ltd (HKND Group), complied with international standards before construction begins. Environmental Resources Management said the canal was likely to have an overall positive impact on Nicaragua, the second-poorest country in Latin America, but only if it follows international standards, such as protecting biological reserves and assessing possible hazards from earthquakes. HKND had planned to start excavation this month but has pushed the start date to early next year, amid planned further studies. The consultancy also said HKND had not followed transparency standards, including sharing information with about 30,000 people who might have to move from their homes or lose their assets or livelihood… the consultancy warned that a worst-case scenario, where the project is begun but not completed, could harm while providing none of the proposed economic benefits.